I was really excited to visit Groningen again. When I visited last year, it was just for a few hours. This time I was there for 3 days exploring the town and meeting with administrators and students from Groningen University College (UCG). Since so many of you have expressed interest in Dutch universities, particularly the university colleges, we are bringing you what we are calling a “deep dive” into UCG. Let’s start with the city. 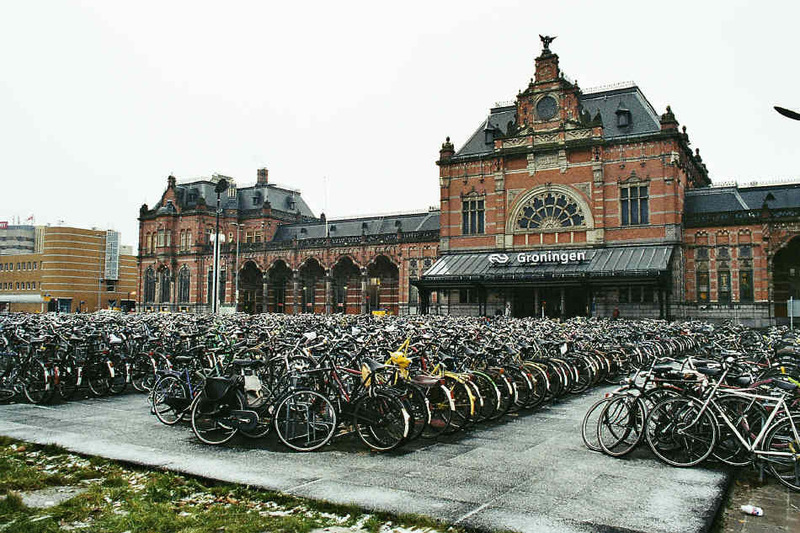 Groningen is located in the northernmost part of the country, about a two-hour train ride from Amsterdam. 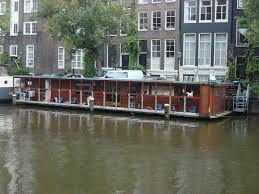 It is the youngest city in the Netherlands, with half of the population under 35. Further, 25% of the residents are students. Because Groningen is the urban center of the northern Netherlands and has such a large student population, its cultural scene is remarkably big and diverse with an strong underground music scene, a comics museum, a tobacco museum, and a science museum. It has a vibrant nightlife, dominated by students. As is the case for many European schools, there is no true campus, and buildings are located throughout the city. They’re easy to identify with the red triangle visible in the picture on the left. In some cities, this seems disjointed but in Groningen, it feels as though the city and university are very connected and the town serves as one big campus. There is a really community feel throughout the town. Almost everywhere I went, I observed people running into people they know. Like most places in the Netherlands, English is widely spoken. People are also really accommodating and friendly about the use of English. I was in one cafe that did not have an English menu and the waitress offered to translate the menu for me verbally! Thanks to Google Translate I did not have to take her up on that. The majority of my time in Groningen was spent learning about UCG in depth. 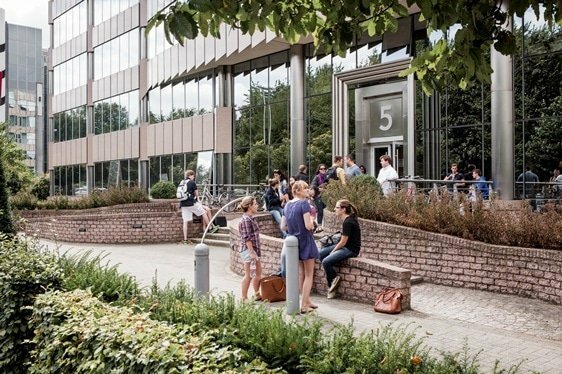 University colleges in the Netherlands are the liberal arts program within a research university, and they are self-contained. 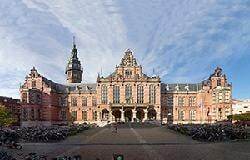 UCG is a department of the University of Groningen, which is a top 100 school in the various global rankings. Though the overall university is one of the oldest schools in the country (founded in 1614), UCG is still a fairly young program, having started in 2015. They stayed intentionally small with around 30 students admitted each year for the first two years in order to straighten out any kinks that arise with any new program. By the third year, they admitted 86 students and anticipate a larger number next year as well. UCG requires that each student lives in a student re sidence for one year. UCG students are generally placed together in the residences, which consist of a very large single room with bathrooms, kitchen and living area shared with seven other students. Here’s a video tour of the residence. These cost 480 Euros a month. After the first year, students can stay or take advantage of the many other student housing options in Groningen including the new Student Hotel, apartment rentals, or even a houseboat rental! Each University College in the Netherlands has a different distinguishing quality. At UCG, their focus is maximizing the integrative aspects of their program, combining more than one area of study. They take an interdisciplinary approach and use project-based education. During the first year, student take core credits in Global Challenges, Research and Methodology, and Integrative Projects and Academic Skills. The other half of the year is made up of credits from Sciences, Social Sciences, or Humanities. Like American schools, students choose their major in the second year, after being exposed to the various fields of study. UCG has 5 majors students can choose from: Physics of Energy (which includes Applied Physics, Astronomy, Math and Industrial Engineering), Health and Life Sciences (Global Health, Immunology, Human Anatomy, Genetics, Cell Biology and Biochemistry), Cognition and Behavior (Sociology, Environmental Psychology, Biopsychology, Cognition and Decision Making), Philosophy, Politics, and Economics (International Law, Ethics, Global Economics, Political Science, Cognitive Neuroscience) and Reflecting on Culture, History and Criticism (Culture and Media, History, Religion and Diversity, Cultural Geography, International Relations, Philosophy). Students have a lot of freedom within their major. A student with a Reflecting on Culture, History and Criticism major, for instance, can have (but isn’t required to have) a lot more variety in their courses than a student who is in a pure culture and media program. Students also have the opportunity to create their own major by combining areas of study. UCG students are also able to take courses offered by the overall university (which has 29 English conducted bachelor’s programs) which add to the possibilities and flexibility. There is a lot of value to having these projects continuously through the years. We already know that the classroom diversity related to the students’ country of origin adds to the educational experience. Now we are adding to that working with students with different academic focuses. Integrative projects also have students working with people who have different academic focuses. In the corporate world, multidisciplinary teams are the norm, so the students are learning skills seen as valuable by future employers. Further, many research universities have a singular research focus at the expense of applied knowledge. 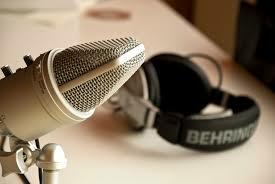 The integrative programs provide that applied knowledge component that is often missing. Students at UCG have a lot of support. Students are assigned a faculty advisor who works with them for the entire 3 years. The advisors and professors and even the dean serves as an advisor. The advisor helps with course planning, academic struggles, internships, and preparing for future plans. The dean explained to me that they believe that there is an implied contract between the students and professors to complete the program in three years and faculty is committed to helping students achieve this. The close relationship between students and faculty serves as a personal support as well. I was told about a regular Dungeons and Dragons night that a group of students and professors participate in! If you are a Beyond the States member, you probably know that I look to find and report the challenges or drawbacks of the schools I visit as well. I had trouble finding many weaknesses here. The ones I did find were pretty small in significance. For instance, some of the other university colleges have more architecturally impressive buildings. The building at UCG is well maintained and has some wonderful features, but not to the level of some of the other schools. That said, a new building is being built near the square and is anticipated to be complete by 2020. The main problem is that the overall admissions department for the university is quite rigid in their interpretation of the admissions requirements set by Nuffic (the Dutch government). American students who don’t have an IB diploma are required to have 4 AP scores of 3+ to be admitted to a Dutch research university. Nuffic allows schools to determine whether they allow substitutes for the AP tests with things like college courses. Some schools also have a math requirement that can be met through an AP test, an ACT or SAT math score, or a math entrance exam. Groningen University College does not allow for any of these substitutions and the math requirement must be met through an AP score. This is something that I hope they will have more flexibility around in the future, but for now, it is what it is. Please note that the University of Groningen does not have the same math requirement as the university college. The positive side of this is that the admissions requirements are totally transparent so if you don’t have the qualifications, I don’t advise applying. I met with the Admissions Director of the UCG program and you can find more about the admissions process in this video interview. UCG has some great ways to explore the program from afar. First off, their website has some really good videos that speak to students about their majors. There’s a Day in the Life video here. They also have a virtual student for a day program where you can choose from options like webinars, talking to a current student, a Q&A about an academic program, and attending a lecture – all from the comfort of your own home! UCG charges 12,000 Euros per year (convert to $) and is a three-year program. Check out our cost comparison of another student we worked with who is studying at a comparably priced university college program in the Netherlands. Non-EU first-year students can apply for the 5,000 Euro Holland scholarship for their first year of study. Let me just start by saying that, though there are many parts of Belgium that I think are incredible, Brussels has never been my favorite city in Europe. That said, I have learned that the city has a tremendous amount to offer students. The first has to do with the price. The government subsidizes public universities and I visited two schools during this visit with tuition under $3,000 per year. Remember that these are three-year programs so you are getting your full degree for under $10,000! The school that impressed me the most on this trip, however, is a private school. At $12,500 per year, it is not the bargain of the Belgian public universities but still offers great savings compared to US schools, tuition at Vesalius College is less than in-state tuition at many public universities such as Michigan, Illinois, and UMass. This becomes even more apparent when you factor in the benefit of the three-year program. Not only is this a year of tuition and fees avoided – it’s also a year sooner in the workforce generating income and experience. The school also offers merit-based scholarships which provide a 50% tuition reduction. This school is Vesalius College. 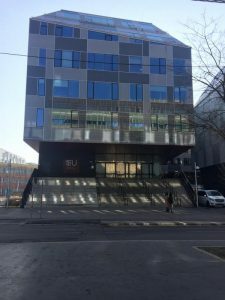 It was founded in 1987 by Vrije University Brussels (VUB) and Boston University to provide English conducted bachelor’s programs that merged the best parts of the European and American approaches to education. Though Vesalius Collge is right across the street from the VUB campus and is technically part of the school, it has its own private school status and functions independently from VUB. That means that students are able to enjoy the amenities and facilities of VUB (clubs, sports facilities, libraries, etc) without the struggles that often accompany a larger school. Vesalius College offers bachelor’s programs in Communication Studies, Business Studies, International Affairs and International and European Law. Though they tout a liberal arts education, they are referring more to the interactive teaching style and not the broad education that involves students choosing a specialty/major after introduction to various fields. Though all of the programs have strengths, I want to focus on the International Affairs program. The first strength that Vesalius College offers International Affairs students is the fact that their students come from 60 different countries. Combined with the interactive teaching style, small classes (large lectures are even limited to 30 students) and group work, students are exposed firsthand to perspectives from around the world which I believe is a key component to International Affairs. The school uses “Theory-guided, Practice Embedded and Experiential Learning”. Though it’s a mouthful, you can certainly see that it is implemented in their curriculum. Of course, students get the theory component in the classroom. There are some interesting and timely classes like Legal Aspects of Migration, NATO and Transatlantic Approaches to Security, and Global Terrorism, Counter-Terrorism, and De-Radicalization. Students are also able to choose from a broad array of electives at partner schools which include VUB, Brussels Institute of Contemporary China Studies, Institute of European Studies, and the Royal Music Conservatory Brussels. Unlike many other Belgian schools which base grades almost solely on final exams, courses at Vesalius College are continually assessed through projects, papers, and exams. Further, the fall semester ends in before winter break, so students don’t have to spend their holiday studying for final exams. For the practice and experiential components, International Affairs students really benefit from the school’s location in Brussels, the de facto capital of the European Union. The school has guest lecturers that include speakers from NATO, the UN, various relevant EU committee chairs and directors, ambassadors, and foreign ministers. Students must participate in a capstone project, which involves working with high-ranking diplomats on foreign policy issues and also have the option of doing internships (for academic credit) with the UN, NATO, and various embassies. Vesalius College’s modern building is located across the street from the VUB campus and is about 20 minutes from the city center. The school has its own cafeteria which sources many of its ingredients from organic farms and won the SMC Sustainable Seafood Certificate in 2013. Of course, as previously stated, students can also cross the street and use the large array of VUB facilities. Coming as an international student to a foreign city can be overwhelming, so Vesalius has a number of support systems in place to smooth the transition. Though they don’t have their own student housing, the school does assist students in finding space in the student residences throughout the city. Each student is assigned a study advisor (a professor) and a separate career advisor which speaks to the priority of educating students and also making them employable. Though student life is enjoyed with students from schools all over the city, the school has a real community feel. The small size allows the students to really get to know each other and their professors. This community feel was something I noticed when I was observing students while waiting for my meeting to start. Students are sometimes concerned about going to a small university. Often their concerns center on student life. I had dinner with Jared from North Carolina and his friends Lisa (from Atlanta) and Sebastian (from Luxembourg) while I was in Brussels and this was one of our topics. Though Jared knows Lisa from class, most of his other friends are from his student residence and attend various schools through the city. Jared and Sebastian both told me that their social life is more from their student residence and less from their academic program. Further, even when one attends a large university (like Jared at KU Leuven), the majority of their classes are held within one department so larger schools have a small school feel as well. Given that students at Vesalius College have access to all the clubs, facilities, and even classes of the larger VUB, the school size does not present limits but does provide advantages. 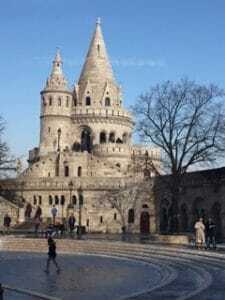 I arrived in Budapest to write about the options to study in Hungary for my third week of travel. I had a long train ride without WiFi from Prague, my taxi driver overcharged me, and I had trouble checking into my Airbnb – which was a bit of a dump. These factors, along with the fact that I hadn’t seen the sun for almost a week and that I was tired of Eastern European food, had made me quite grouchy for my first few days. 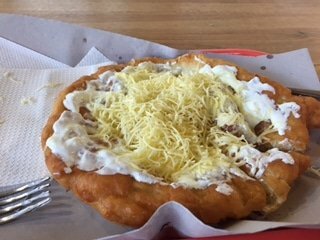 By the end of the week, though, the sun was out, I’d learned about some amazing programs for international students to study in Hungary, discovered langos, and finally understood the appeal of Budapest! Budapest is split in two by the Danube River. Buda is on one side and Pest is on the other. Most schools are on the Pest side where it is more residential with an abundance of cafes, bars, and such. In some parts of Pest, I had trouble determining whether an area was trendy or sketchy. Turns out, most were trendy. There are these popular things called ruin bars that are set up in abandoned buildings. I planned to grab a pre-dinner drink in one near my apartment at the Red Ruin bar but walked in and right out, when I realized I was much too old for this crowd. The Buda side of the River is absolutely beautiful. Of course, the benefit to staying on the Pest side is that you get to see that view every day. I walked across the bridge to explore the Buda Castle, Fisherman’s Bastion and St. Matthias church. It was an incredible experience, though crowded with tourists. I’m glad I stayed on the Pest side. Cost of living is incredibly affordable here for students wanting to study in Hungary. A train ticket without a student discount is right around $1. Most of my meals cost under $5, rooms in student residences generally cost under 200€ (convert to $) per month, and you can live large in a large nice shared apartment for under 400€ a month. The city and public transportation are easy to navigate – after just a few days I rarely had to glance at Google Maps. The American students I spoke with in Budapest are incredibly happy with their decision to study in Hungary and their experience. Interestingly, this is the first time in Europe for both of them and the affordability was one of the decision making factors they used. Matthew is a nontraditional student (age 39) from Washington state who decided to study in Budapest with his wife and two small children to pursue a master’s degree. Chris is a from a small town in Louisiana and attended LSU for two years before making the move to study in Budapest. Even with airfare factored in, he is paying less to study in Hungary than he was as an in-state student at LSU (Who knew LSU was $32k per year all in??). The impetus for both Matthew and Chris was a strong desire to see the world and experience diversity. They both appreciate the various international backgrounds of their friends and the students in their classes as well as the opportunity this diversity provides to learn different perspectives on world events and even day to day living. Chris also said that he appreciates the much smaller class sizes. He noted that at LSU he had many classes with 800 students and no personal contact with the professor, while during his study in Hungary, most of his classes here have less than 20 students and professors are accessible in and out of class time. Matthew and Chris attend Budapest Metropolitan University, a private university of applied science that was founded in 2001. The school emphasizes hands-on, practical learning that leads to employment. In fact, 86% of their graduates have employment within 5 months or graduation and 33% of those are hired where they completed their internships – a major benefit of studying in Hungary. 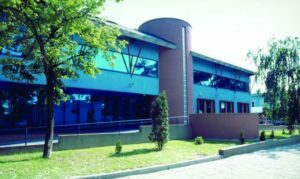 The school has relationships with 400 Hungarian companies and 300 international companies for internships and job placements. The Career Center holds programs throughout the year to prepare students for employment. For instance, at the beginning of each semester students take a Career Management class. This practical training is run by various companies and helps students learn skills around project proposal, professional communication, and overall presentation. Budapest is an interesting place to be for students in Metropolitan’s media related programs. Many American films shoot here. Students have done internships with the production companies working on films like Angels and Demons, Inferno, and a yet to be released Jennifer Lawrence movie. The facilities at Budapest Metropolitan University are fairly typical for a university of applied science. Though they aren’t held in architecturally impressive places like many of the older public universities, the buildings are well maintained and have modern equipment. The school has 12 English conducted bachelor’s program that are 3-4 years in duration and range from 4,200-6,000 Euros per year. The school I am most excited to tell you about is not in Budapest, but in Pecs (pronounced “paytch”). When I planned my visit to review options to study in Hungary, I knew I had to visit this school. Pecs is a student town, with almost 15% of the 150,000 residents attending the University of Pecs. Students and administrators note that the smaller size of the city helps students feel less overwhelmed than they would in a larger city. University buildings are not far from the city center, which holds cafes, pubs, cinemas (that show English movies with Hungarian subtitles) and other popular student destinations. There is a brewery in town which was founded in 1848 and produces eight kinds of beer. 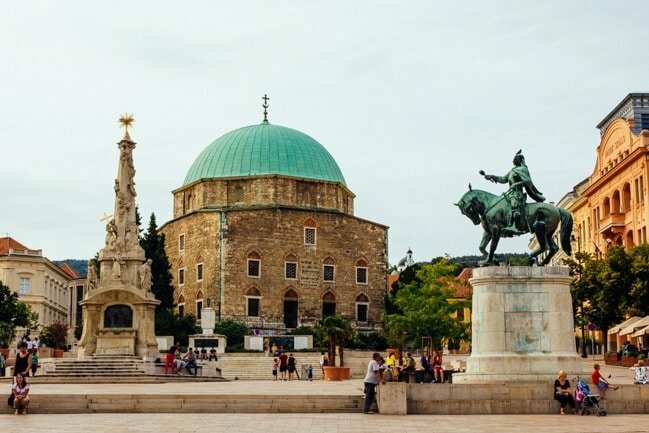 Students can also take advantage of nearby hiking or trips to nearby Croatia. Though Pecs is a good three-hour train ride from Budapest, it has culture on its own. In 2010 it was named a European Cultural Capital for the year and it also holds a UNESCO World Heritage Site. I had grown accustomed to seeing the Soviet influence on architecture in this part of Europe, but Pecs holds architectural influence from the Ottoman occupation in the middle ages, mostly in the form of churches which were turned into mosques and then back into churches. The University of Pecs is the oldest university in Hungary, celebrating 650 years, and is globally ranked. I was impressed by the number and variety of programs they offered in English for such reasonable tuition. I was even more impressed after my visit. 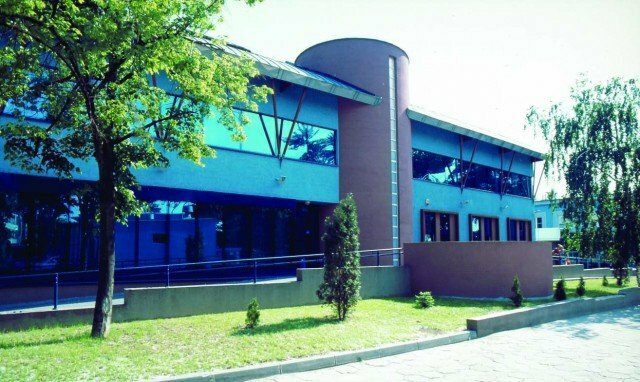 Pecs is a large university, with 20,000 students, but each department is self-contained with its own International Student’s Office, Student Union and more. The buildings are spread out throughout town, but students who stay in the dorms are generally placed in the dorm close to their department. There are easy public transportation options for students who choose to rent an apartment in town. The university facilities are impressive and diverse. Though some are in old historic buildings and others are in modern buildings built for the university, all are well maintained with up to date classrooms and labs. The school offers 18 English conducted bachelor’s programs and 3 integrated bachelors/masters programs in medicine, pharmacy, and dentistry. The bachelor’s programs include various offerings in the fields of health sciences, business, social sciences, humanities, computer science, engineering, math, and science. Most of these programs are three years in duration and range from 3,200-6,900 Euros per year. During my visit to Pecs, I met staff in the student residences, administrators from two different faculties, students from the medical program, and others. What struck me in every single one of these meetings was how highly international students are valued and taken care of at the university. 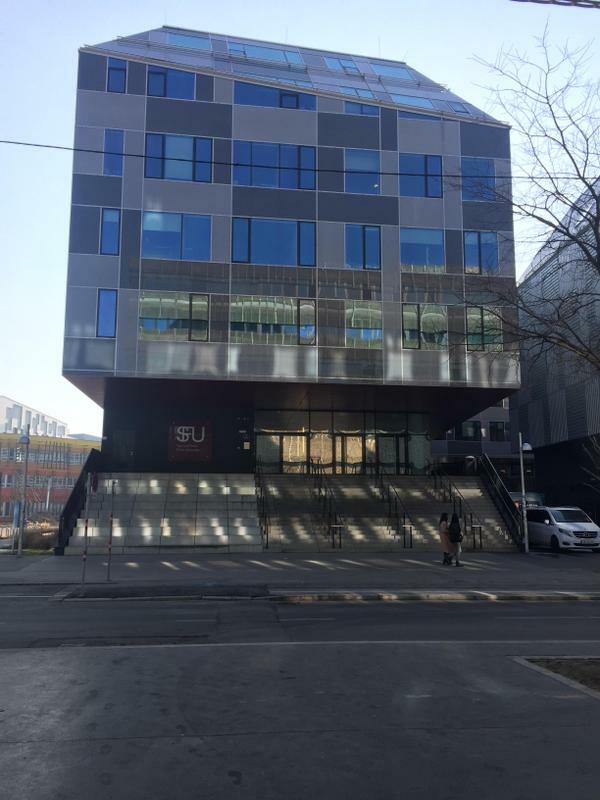 There is an office to help international students who study in Hungary in each of the departments, and even in the dorms. The departments offer all sorts of assistance to international students, including a group outing to get student residence permits, a course called “Providing a Soft Landing at the University and Pecs”, and a magazine for international students that is published a few times a year. They continue to add English conducted programs that are of interest to international students and hold student focus groups to see where they can improve. The students I met with were very happy with their experience at Pecs (Members can see more about their thoughts on the General Medicine program page in the database). When there are so many universities with good and affordable programs in Europe, a school’s approach to international students is an important factor to look at. Pecs certainly stands out in this area. Was I this impressed with all the schools I visited? Nope. As a matter of a fact, I visited a globally ranked school that I would not advise Americans apply to due to their attitude towards international bachelor’s students. Beyond the States members (Join now) have access to our database of all the accredited English conducted bachelor’s degree programs in non-anglophone Europe. Many listings have a “Jenn Says” section that contains all the information – positive and negative – that I learn when visiting schools. Before visiting Prague universities for Beyond the States, our international travel destinations were determined by an interesting food scene or visiting family overseas. Those criteria prevented me from getting to Prague in the Czech Republic earlier, a fact I truly regret. 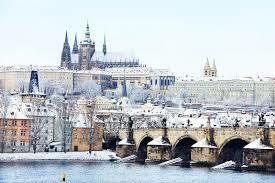 Prague is seriously one of the most beautiful cities in Europe to study abroad – even in the dead of winter. One thing that I liked about it is that you could see and appreciate the architecture throughout the city without going into the touristy areas. Prague felt very livable to me. One factor I look at when assessing livability is the accessibility of modern day conveniences. I’ve stayed in some cities where I have walked endlessly just to find a place to buy bandaids. Supermarkets, convenience stores, and drug stores were easily found in all the neighborhoods I visited in Prague. Other services, like places to exercise or nail salons, were also easy to get to. The city is fairly compact and walkable, but also with good public transportation. I felt safe everywhere I visited throughout the city and learned that the Czech Republic is actually the 6th safest country in the world just ahead of Switzerland and far ahead of the US which ranks 103rd out of 162. As I noted in our last blog, I do wish I had paid more attention to current events in high school, particularly those that related to the Cold War (1947-1991). The owners of my Airbnb were a hip young couple in their 30s. Matej picked me up from the airport and during the drive back told me about his own memories of the time. His dad was in a band and had to flee the country in the 80s, as he was going to be imprisoned for playing Led Zeppelin songs. Matej remembers waiting in long lines for simple things like toilet paper to be rationed. He also recalled the excitement through the country after the largely peaceful Velvet Revolution, the period of upheaval and transition, that took place from November 17 to December 29, 1989. One of the Prague universities I want to tell you about is Anglo-American University. As in Poland, private schools only came into existence after the end of the Cold War. Though AAU is a fairly young school, in terms of Prague universities, founded in 1990, it is the oldest private institution of higher education in the Czech Republic. There are a number of schools throughout Europe that are accredited by US agencies and they use that as a way to charge American-sized tuition. One of the many benefits of college in Europe is the affordability, so I tend not to give those schools much attention. 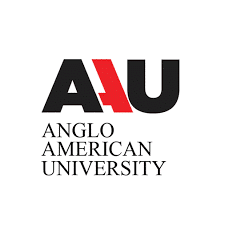 Anglo-American University interested me as all of their programs are English conducted, they tout an American style of teaching, and they have WASC accreditation, an agency that also accredits schools like Stanford University. Despite all of that, their tuition is incredibly reasonable at under 4,500 euros (currency conversion) per year – making AAU a Prague university value! The facilities at AAU are incredible. They recently moved to a location in a great part of the city near the Prague Castle. It’s a historic building that they renovated for school use. I can’t even begin to tell you how beautiful it is, so it’s worth checking out here. Be sure to look at the computer lab! AAU has seven bachelor’s degree programs (all of their programs are conducted in English). Like most schools in Europe, students apply to an actual program but since there are a lot of electives students can generally do an internal transfer to switch programs after the first year. AAU prides itself on small class size (max of 25 students), interactive group work and class discussions. The small student body does not mean that students have a limited choice of classes. Over 200 courses are generally offered each semester. Some of the classes sound really cool as well. Isn’t it a great time in our world to take a Psychology of Aggression course? There is also a class about NATO in which different NATO representatives give virtual lectures throughout the semester. The small student body allows students and professors to get to know each other and professors are accessible to students inside and outside of class. The small school size presents less potential social issues than in the US. While there are a number of ways to get involved socially at AAU, staying in a student residence opens up your opportunity to experience student life in Prague as a whole. On the other end of the school size spectrum in Prague universities is Charles University. Charles University is enormous with locations all around Prague. Charles University was founded in 1348, making it one of the oldest universities in the world. There are 52,000 students at the school and the school is globally ranked. Liberal Arts programs appeal to a lot of US students partly because it’s what we are familiar with and partly because many students don’t know what they want to study when applying to college. Most of the liberal arts options are in the Netherlands, which have a 4 AP requirement, so I was interested in learning about the option offered at Charles University. The Liberal Arts program at Charles University is fairly new. It started in 2012 and has about 45 students per class. Though it is called Liberal Arts, after learning about it, I think it’s more similar to the integrated programs like the Philosophy, Politics, Economics (PPE) or Philosophy, Politics, Law & Economics (PPLE) programs offered at many schools. Of course, integrated programs are also a great option for students who aren’t sure what they want to study or can’t decide on just a single area of study. During the first year, students take introductory courses in European History, Anthropology, Economics, Psychology, and Sociology. They also have four different small seminars and choices for electives. Electives account for more than a third of the required credits, so it is here that students can focus on their areas of interest within the disciplines. Comprehensive exams account for 40 of the 180 total credits. These are not formal classes, but independent work that is done through the semester (during the 2nd and 3rd year) preparing for the exam. Students are required to take comprehensive exams in four different subjects. For each of these, they choose a set number of books to read off of a list (usually they choose 12). They then give a presentation and have an oral exam about the reading they did. Needless to say, this requires that the student is independent with good time management and study skills. The programs end with a bachelor’s thesis, another opportunity for the student to focus on their specific area of interest. This department is about 20 minutes on the metro from the city center, in a less picturesque area of Prague. Large universities sometimes concern me as getting through bureaucratic levels in one’s own language can be a headache enough without throwing language barriers in the mix. However, students take the majority of their classes within the department and the International Students Office and Student Administration Office within the department can meet most of the students’ needs. If you’re interested in studying in the Czech Republic in English, there are 45 English conducted bachelor’s programs in the country, 32 of which are at Prague universities. The average tuition in the Czech Republic is just €4,260 (convert to $). Prague universities provide great options for students who want to take advantage of the affordable tuition of Eastern Europe while living in a livable and beautiful city. I have to tell you, I’m actually glad that I’m not a big fan of the heavy meat-based Czech foods otherwise I would have had trouble leaving! 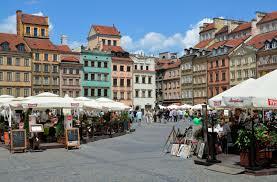 Before we get to the options to study in Poland, I need to set the scene of my visit there. This trip to Eastern Europe is really making me regret not paying more attention in high school history classes. The end of the Cold War was even a current event when I was in high school, that I was largely oblivious too. I do remember being afraid of Russia in elementary school, but I think that was because they were often portrayed as villains on Wonder Woman. In many European cities, you can feel the history through the beautiful architecture. Not so much the case in Warsaw. I didn’t realize that over 85% of the city center was destroyed in WWII. The Soviet Union liberated Poland from the occupation by German forces in 1944 and then took over and installed a Communist government which ruled until 1990. One neighborhood in the city center, Old Town, was meticulously rebuilt after the war to look like it did in the 1800’s. Walki ng through Old Town, now a UNESCO World Heritage site is pretty wild. It looks like it was built in the over 200 years ago when in fact it was built in the 1950’s-and the Royal Palace wasn’t completed until the 1980’s! This is a very small part of Warsaw, one that you aren’t likely to spend much time in as a student, other than to show visiting friends and family the town. The rest of the city has the drab architecture that reminds me of the public housing projects in my hometown of Chicago. In many areas, Warsaw lacks the European charm I find in so many other cities. I’ve learned that the inside of a building in Warsaw is often much more impressive than the exterior. 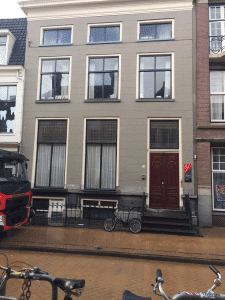 The building of my Airbnb looked quite dumpy from the exterior even through the entryway and stairways. The inside held one of the nicest and most modern Airbnb’s I’ve stayed in. The same can be said for Kozminski University. The building was bought, not built, by the University in 1993 so the outside does not look particularly impressive. The facilities inside, however, are modern and well maintained. Kozminski is unique in that all of their facilities are on one campus and are quite extensive, including a sports hall, two sports fields, a gym, post office, ATM machines, four cafeterias, multiple computer labs, a modern library and a simulation courtroom for law students. The campus is about 20 minutes from the city center but is right across the street from a tram line that connects directly to the city center and a monthly transit pass costs only about $25 (and even less for students)! So let me back up for a minute back to the impact of Communist rule. Privatization was prohibited until after the Cold War ended in 1989, so all of the private universities in Poland are still quite new. Kozminski was founded in just 1993, so it is especially impressive is that they hold the prestigious “triple crown” accreditation and has very high ratings from the Financial Times. Their tuition, at around $4,000 a year, is an unheard of bargain for those of us familiar with the astronomical US prices but is thought of as high for Poland, so Kozminski recognizes that they need to provide high-end value and student satisfaction. To that end, they focus on combining practice with theory and also developing relationships with companies around the globe that provide their students with employment, internships, lectures, and workshops. Some of the companies they have strong relationships with include Accenture, Deloitte, Loreal, and 3M. Recruitment events occur throughout the year, with some that focus on bringing in employers from one specific country at a time. They also have an entrepreneurial program called Grow Point, in which mentors from various companies help students turn their business ideas into successful ventures. An impressive 90% of their graduates find work within 90 days of graduation! Kozminski has three different English conducted bachelor’s programs which are all three years in duration. There is a program in Finance and Accounting, one in Management (with specialization choices of Entrepreneurship, Marketing, or International Management made after the first year) and a Management with Professional Placement program. This is a double degree program with DHBW in Germany. Students study in Poland their 1st and 3rd year at Kozminski and their 2nd year at DHBW. Summers are spent doing paid work for the companies who actually make the admissions decisions! There are two other double degree programs (one with the European Business School in Germany and one with KEDGE in France), but students don’t apply for these until they study in Poland for their first year. Classes are a mixture of lectures, seminars, group work and case studies. Most classes have both graded work through the semester in addition to a final exam, which students are able to retake if they don’t pass. Polish law requires all students to complete a three-week minimum internship, though most Kozminski students intern for at least a semester. The small school size of 8,000 allows smaller class sizes (usually around 30) and access outside of class time to professors. The admissions process for international students is quite simple. Students do need to have their high school studies completed at the time of application, but the admissions period does not even open until May and continues through August, which should allow for students to attend in the fall after their senior year. No entrance exam is needed, students complete an online application and upload their documents. Students generally receive an admissions decision within 10 days. About half of the programs at Kozminski are conducted in English and 70% of the students in the English conducted programs are international students from 70 different countries, which makes Kozminski the most internationalized school in Poland. Though English is widely spoken at Kozminski, students may choose to take Polish as a second language (with other language options provided as well). The Student Services department helps incoming students find housing. Kozminski does not provide housing and most students choose to stay in apartments while they study in Poland which range from 200-300 Euros per month. Kozminski holds a one-week orientation program before school begins and international students can participate in a buddy program. Both Erasmus Student Network (ESN) and the Student Council arrange social events like parties and trips throughout the year. As in most European colleges, student life extends outside of the university into the city far more than it does in US schools. International students at Kozminski have put together a blog which gives great insight into the student life in Warsaw. I wondered about the international student experience at a large public university. 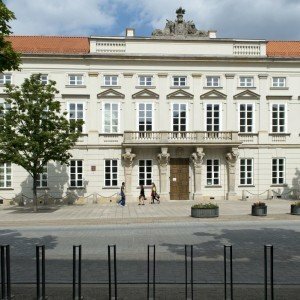 With more than 58,000 students, the University of Warsaw is larger than every US university, but one (Ohio State). It is globally ranked and offers seven English conducted bachelor’s programs including American Studies, Archaeology, English Studies, Finance, Accounting, Internal Security, International Relations, and Philosophy of Being, Cognition, and Value. Tuition for these programs ranges from 2,000-3,000 Euros per year and each one is just three years in duration. For a firsthand perspective, I met with Josh D., a former US Marine from Florida who now studies International Relations at the university. His first international exposure came during his years of overseas duty. His posting to the Marine Corps Embassy Security Group (Marines provide security at embassies around the world) really increased his interest in higher education and stoked a desire for continued international experiences. He also met his now-wife while serving at the US Embassy in Warsaw. Josh’s studies are financed through the GI Bill which, until now, I didn’t realize could be used to fund college in Europe (more info here)! The Polish conducted programs are free, so the English conducted programs are seen as the university cash cow. Josh dispelled my images of crowded lectures and no contact with professors. His program is the largest English conducted program at the university and has only 300 students in total. Students take courses with other students in their same year. Josh is in his second year which has only 70 other students. For most of his classes, the 70 students are split into three groups of just over 20 students each, though there are a few lecture courses that they all attend together. The groupings also provide some flexibility for students. If a student has to miss a class with their group on one day, they can go to the other groups class the next day. Josh said that the professors are very accessible and encourage students to interact in class, during office hours, and through email. Josh told me that the international office handles any issues international students have, so students don’t have many struggles with the non-English speaking offices within the university. The size of the university does cause some bureaucratic headaches, for instance, it took the school six months to reimburse Josh for a trip he had funding for. Josh echoed what I hear from American students throughout Europe-that he is incredibly happy with his decision to study in Poland and that the impact of having the perspectives from students with tremendously different backgrounds is life changing. Are all schools in Warsaw as impressive as the two I’ve written about in this blog? Nope. One of the many benefits Beyond the States members gain is access to objective information I provide in our database about schools I visit – even when that information is negative. This trip did make me wonder why more students don’t study in Poland. A lot of students use our Best Fit Program service in which they fill out information about their interests, preferences, qualifications, etc and then I compile a short list of programs I think they should look at. Many students say that they are open to suggestions in any country. Other students request a number of specific countries. I have yet to see a form that requests an option to study in Poland. Why is that, I wonder? There are some excellent opportunities here at incredible prices. Further, the cost of living is incredibly affordable. Almost every purchase I made while I was here was under $10 and meals out with wine were under $15. While Warsaw is not the most picturesque city in Europe, there are other cities that did not suffer the same destruction during WWII that appear to have more of the Old World charm (if that is a deal breaker for you). If you are looking for high-quality programs at an unbelievable value, consider your options to study in Poland. In this episode, Jenn talks with Chelsea Workman. Chelsea started studying Philosophy at Ohio State. Although she chose an ‘affordable’ public school, the tuition, at over $10k per year, soon put financial stress on my father and meant she needed to work in addition to studying. She began racking up debt. Eventually, she dropped out, believing it futile to pay over $40,000 for a bachelor’s degree in a subject she could easily learn for free, say by reading in a local coffee shop. She decided instead to work full-time and save some money. Her sister was working at a school in a small town in Germany and suggested Chelsea give it a try. Chelsea has now finished her bachelor’s degree in Germany and has traveled extensively – all while on a budget. A lot of people (including myself until recently) would have trouble naming cities in the Netherlands other than Amsterdam (and possibly The Hague). Groningen is a city that isn’t well known, but has a tremendous amount to offer students. It is a true student town, with students making up 25% of the 250,000 population. Even outside of students, it is a young city as 50% of the population is under the age of 35. Groningen is as compact as it is easy to navigate. I liked it immediately when I got off the train. The Groningen Museum is right across the canal from the train station and had signs out for the David Bowie exhibit. I didn’t get a chance to check it out, but it sounds pretty interesting. The city center is also about a 5 minute walk from the station and filled with shops, cafes, and a large outdoor market where I had my first stroopwafel. The main buildings for the university are also in the city center, about a 15 minute walk from the train station. This area houses all programs other than the Economics and Business programs and Science programs which are on a campus about 10 minutes away by bike. Groningen University is one of the oldest schools in the Netherlands, founded in 1614, and is consistently ranked in the top 100 global universities. They offer 23 English conducted bachelor’s programs as well as a liberal arts program at their University College. One might then wonder if admissions are competitive. The answer is “No”. If a program does not have an enrollment cap, you are admitted if you have the equivalent of a Dutch VWO level high school diploma. For American students, this means either an IB diploma, 4 AP scores of 3+ or 1 year of college-students from other countries can find their entry requirements here. That’s all! No assessment of extracurricular activities, test scores, etc. If you are qualified, you get in. The more popular programs have enrollment caps to control class size. For these programs, qualified applicants are further assessed based on their motivation letter. The admission process for the liberal arts programs offered by the University College is more involved. In addition to the above, there is a math requirement and motivational video or essay. Though it may not be hard to get into the school, students must work to stay in school. Year one is an evaluation of sorts. Students have to pass 75% of their first year courses in order to be able to continue their studies. That said, the school is invested in helping students succeed. Semesters are broken into 9 weeks blocks. Study advisors keep an eye on grades at the end of each 9 week period to provide resources to students who might be at risk. Classes have a lecture component (usually around 200 students), but the same class also has seminar groups with the professor. These are usually limited to 10-15 students and attendance is mandatory. Students are encouraged-and expected-to disagree with the professor during these group discussions, which can be hard for some international students to adjust to. The other expectation that some American students specifically have trouble adjusting to relates to self- study. At the beginning of the 9 week block, students receive a schedule that communicates what will be taught each week along with the expected reading throughout the week to prepare for the lecture and seminar group. This is not checked on through assignments, but will determine success for the test at the end of the semester, which is usually all the grade for the class is based on. Speaking of grades, don’t expect A’s! The Dutch use a 10 point grading system. 5 and lower is failing, 6 is ok, 7 is good, 8 is really good, 9 is excellent, and 10 is almost never given as it means you know as much as or more than the professor. More than grades, the emphasis is on making sure that students understand the information. Some professors have started utilizing a system to evaluate this during their lectures. They have an app that allows professors to ask questions about the lecture he/she is giving and students respond to the questions on their phones. The professor then gets a percentage of the students who got the answer right. If not enough are grasping the topic, he/she knows to elaborate on the topic. The above information pertains to all departments at Groningen University except for the Groningen University College. This is really an incredible program that I want to focus on. The University College is the liberal arts program at the university. They are somewhat self-contained; their classes are held within one building and there is a residential component. Their offering combines the benefits of a small boutique college with the resources of a top university. The program started two years ago, during which the number of students admitted each year was limited to 25. This year (2016) they are increasing it to 100 students per year, so they still have spots for students. During the first year of the program, students get a taste of each of the majors through the core program. Global challenges (and solutions) are a theme throughout the first year as are research methods and skills. The second year, students choose and focus on a major, integrative project, and research and methodology. The final year can include study abroad, more majors, and a capstone project (which is the thesis). I met with an American student who is in his second year of the program who could not be happier with the experience. Most university students in the Netherlands continue on for their master’s degree after obtaining their bachelor’s. Until 9 years ago, university bachelor’s and master’s programs were combined. Thus, the concept of a bachelor’s degree is unfamiliar to many employers in the Netherlands who expect a master’s. Graduates from Groningen’s bachelor’s degree programs (including the university college) have direct admission into the related master’s degree programs at the University! Copenhagen Business School (CBS) is located in Frederiksberg, a really cool area of Copenhagen. It’s technically it’s own municipality but feels like-and is treated like-a neighborhood of Copenhagen. 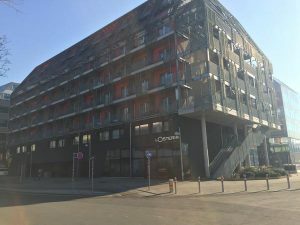 The main building of CBS is right across from Frederiksberg Shopping Center which holds a big grocery store, metro stop, clothing, and home goods stores. The food choices at the mall were drastically different from American malls and included a raw food cafe, a paleo place, and a more general cafe. Student elections were going on in the lobby of the main building and it was busy with students lobbying and another group watching a soccer game. This area is also commonly used for networking events. CBS has a group of Danish and international companies that serve as career partners. Networking is just one piece of that, these partners also help students in career preparation and knowledge development. The career partners include Deloitte, Google, Ernst and Young, McKinsey and Company, AIG, Bayer, and Danske Bank. Though CBS has 22,000 students, there are only 7,400 bachelor’s students. Further, the English conducted bachelor’s program average around 100 students per program, which gives it a much smaller school feel. The five buildings, which were a mix of modern and older buildings with history, are spread across Frederiksberg and within about a twenty minute walk of each other. Classes for each program are generally based in just one of the buildings. The American CBS students I met with were proud of the prestige held by their school and were definitely driven. Though homework and midterms are optional in most of their classes, they all completed them since they are the best way to prepare for the final (which is your entire grade for most classes). Tests are generally take home. Students have anywhere from 72 hours- one week to complete it and may have to present/defend it orally as well. CBS students work hard, but they also enjoy the abundance of student activities and clubs at CBS as well as the social opportunities provided by Copenhagen. CBS has more than 80 clubs including those related to the arts, business, networking, social events, volunteering, beer, culture and language, rowing, religion, coffee, debate, film, golf, gourmet food and drink, hunting, improv, choir, music, investments, Model UN, fitness, polo, running, whisky, wine, yoga, motorcycling, environmental issues, and more. There is a student bar in the main building and every Thursday the area outside of the bar is closed off for a weekly party with a DJ. CBS also offers the GLOBE program as an opportunity for their International Business bachelor’s students. This is a program run in collaboration with University of Hong Kong and the University of North Carolina-Chapel Hill. Students apply for the program during their first year in the program (only 18 are accepted). If accepted, they spend the first semester of their second year studying Asian business, finance, and Chinese marketing in Hong Kong and then study entrepreneurial ventures and startups during the second semester at UNC. GLOBE students return to CBS for their final year of study. Besides the obvious benefits that accompany the added international exposure and specialized program, the cost benefit is incredible. Out of state tuition and fees is $33,644 at UNC. Tuition at University of Hong Kong is $15,400 per year. Instead, CBS students pay their tuition of $10,377 a year to study at both of these schools! There’s good information on housing in Copenhagen here. Though I had no knowledge of Estonia a year ago, when I started reading about schools in Tallinn I knew that I had to visit. I was surprised to learn about their technological advances, their focus on internet connectivity (including free wifi throughout Tallinn), e-society, electronic voting and unique cyber-security programs. This from a country that was under Soviet rule until just 1991! 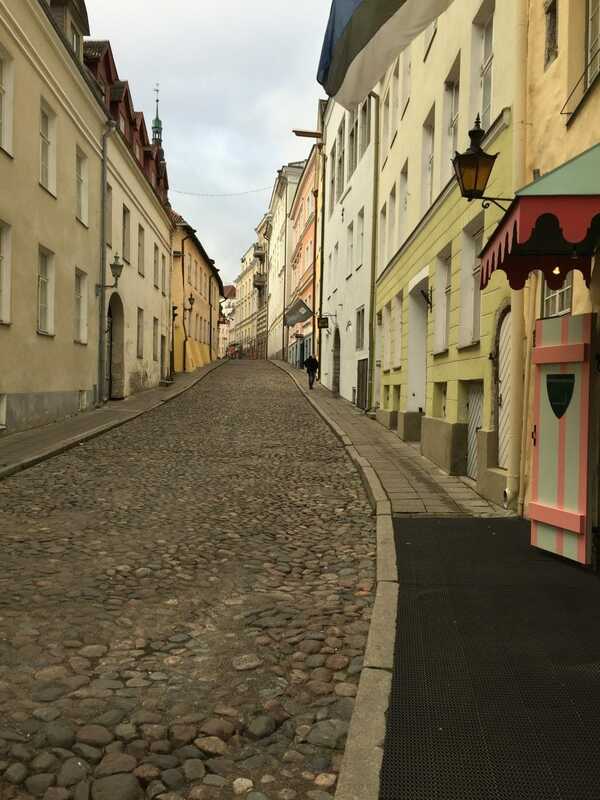 In November 2015, I took the ferry from Helsinki for a day trip to Tallinn. It’s a short two hour ride with several trips offered a day. The ship was surprisingly large and comfortable. With this easy commute, many in Helsinki think of Tallinn as their own suburb. The much lower price tag for shopping, food, and nightlife makes it a popular trip for people in Finland. The contrast of old and new throughout the city is striking. It is common to see a modern building being constructed right behind, or next to, a beautiful old building. The medieval architecture and character is preserved in the Old Town part of the city, yet right outside of the old town city gates are plenty of modern dining and shopping options, including shopping malls. The streets around the town square in Old Town are filled with costumed restaurant staff trying to lure tourists in to eat, but an exploration of the side streets is a really incredible experience. I found cool architecture features, cafes, shops selling things like handmade felt hats, and really quirky places as well. 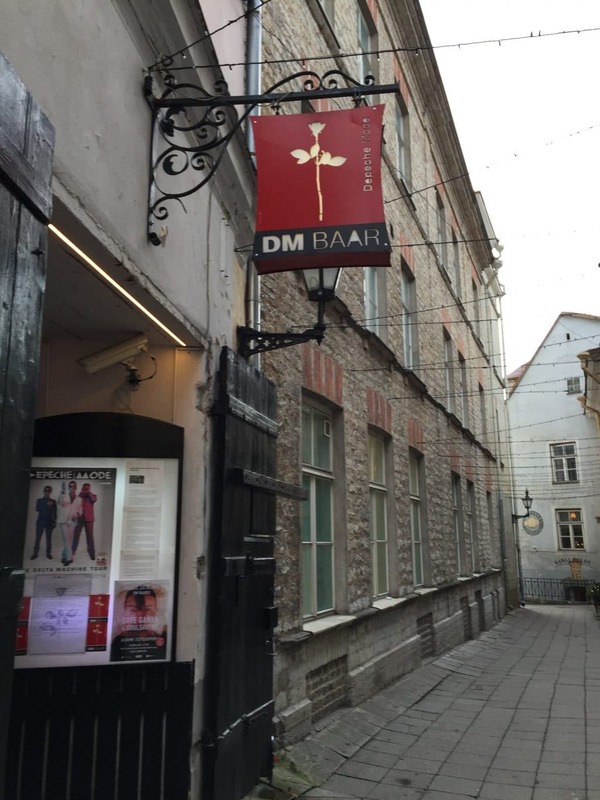 For example, I happened upon this place that is on Lonely Planet’s list of top 10 weird bars, called the DM bar. The DM, of course, stands for “Depeche Mode”. It was opened by Depeche Mode fans in 1999 and has had visits (social, not performing) from the band and other celebrities. An admissions director in Tallinn told me that, in contrast to the Danes, Estonians don’t smile unless they have a reason to. I get that, and appreciate it. She said that international students often misjudge this reserved behavior for grouchiness and think it means that their professors don’t like them. She told me that, with time, they recognize that this is not the case. However, if you would like to experience true grouchiness from your professor, just arrive late to class. Estonians are known for valuing punctuality!